Some homeowners love the idea of deer wandering through their property or wild rabbits hopping across their lawn in the morning. But others do not like the idea of squirrels, skunks and other critters creeping into their vegetable gardens for a midnight snack or getting a bit too cozy under the deck. If you are not big on sharing your outdoor living spaces with the local wildlife, there are some simple solutions that can help you regain control of your yard and keep out unwanted visitors. If you live in San Diego County, Orange County, Riverside County or other areas of Southern California, you likely experience some type of animals coming into your yard. 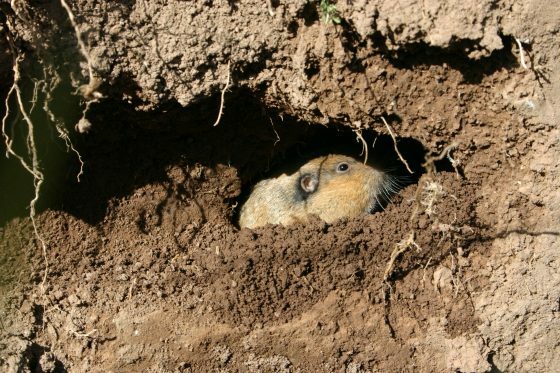 In the city, you likely deal mostly with the occasional dog or cat using your yard as a restroom or gophers tunneling under your lawn. But many residential tracks in Southern California are close to parks and open areas where other wildlife live. Part of the draw of living in this area is that we are so close to nature and can easily access the beach, mountains, desert, forest or other green spaces within just a short drive – or a short walk – from where we live. While this provides us with ample opportunities for outdoor recreation and the joy of living in a place with fantastic scenery, it also means that we have to find a way to live in harmony with the other species that call Southern California home. Rabbits, squirrels, gophers, deer and birds can cause significant damage to landscaping and eat your fruits, vegetables and flowers. While dogs and cats can help keep these other garden pests at bay, these companion animals are not necessarily any more welcome in your yard, since cats will often use flowerbeds as litter boxes, and a digging dog can make short work of destroying your lawn or other landscaping. If you live in the suburbs or more rural areas, you may also have mountain lions and coyotes frequenting your property. While these animals might not be snacking on your lettuce garden, they do pose a potential threat to domestic pets, backyard chickens and, in some cases, small children that might be playing in your yard. Good fences really do make good neighbors, particularly when those neighbors are the four-legged, furry sort that likes to eat flower bulbs and baby carrots. If your budget allows, structural solutions – such as fencing designed to keep wildlife out – is the first thing you should consider when determining how best to protect your landscaping from unwanted intruders. Fencing is your first line of defense and is generally the most effective deterrent. In fact, a good fence might be all you need to manage your particular pest problem. For example, if your main concern is deer that wander into your yard and nibble on your plants, putting up a deer fence could provide a fast solution that puts an immediate end to the issue. 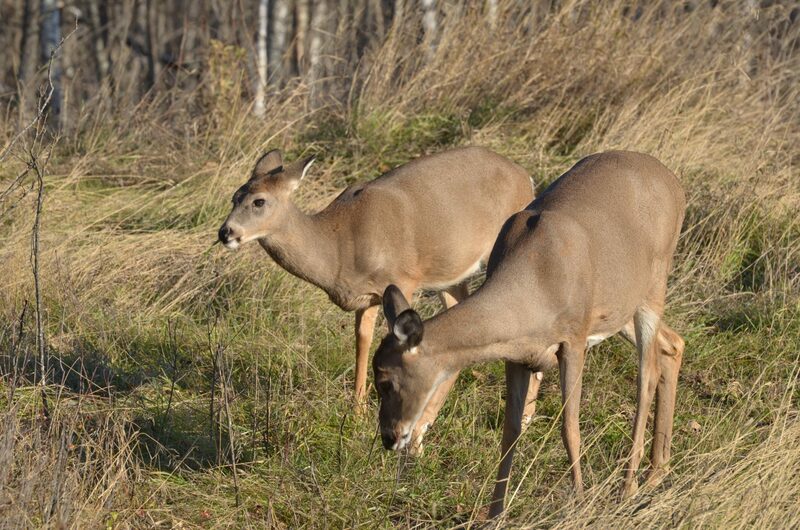 Of course, common deer fencing options that are used on ranches and around orchards are not always the most attractive landscaping feature, so folks living closer to the city or on smaller lots may not want go with this option. Fortunately, a standard, six-foot fence can also often do the trick. Deer will rarely jump a fence that they cannot see through or over, so a solid wood fence or rock wall that is at least six feet in height will likely take care of your problem. This is an expensive option for larger pieces of property, so it you live on more than a few acres of land, you may need to seek out other solutions or go with a deer fence, which may not be as attractive but is much more affordable. A tall fence should also significantly reduce the chance of coyotes and mountain lions entering your property. Fencing is also a great deterrent for smaller animals, such as rabbits and dogs. Even a short fence that is less than two feet high is usually enough to keep rabbits out of a vegetable garden or flowerbed. Picket fences and wire fencing are two affordable options that are readily available at home improvement stores and can be installed as a do-it-yourself project. To make your garden even more wildlife proof, it is a good idea to dig a trench along the fence line to sink your fence or some wire mesh at least eight inches underground, which will help deter digging rodents from entering where they are not wanted. Another structural solution to keep small animals out of your vegetable garden or flowerbed is to build raised garden beds that are further fortified with a short fence on top and wire mesh lining across the bottom under the soil to prevent digging. 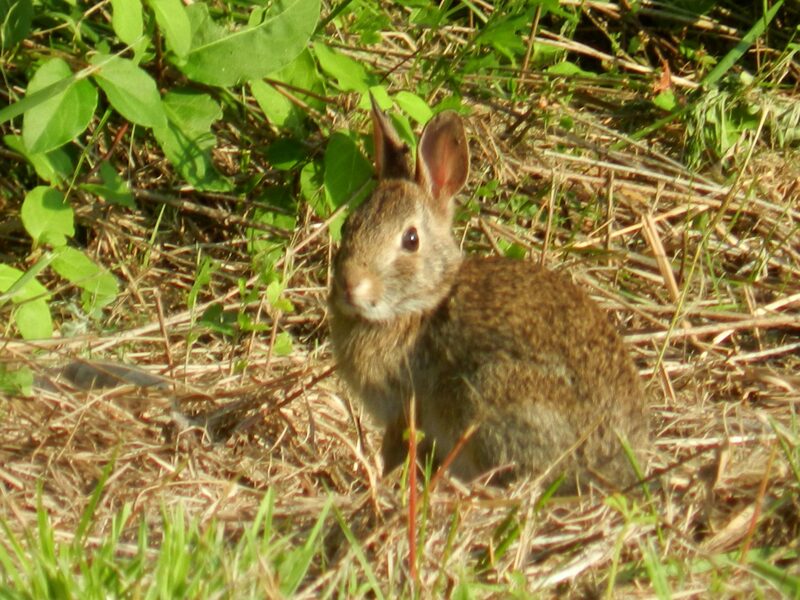 If rabbit fencing, wire mesh and a good deer fence are not enough to keep the critters away from your plants, there are other steps you can take to make your yard less attractive to local wildlife. 1. If squirrels are eating your flower bulbs before they have the chance to bloom, try planting garlic cloves in between your bulbs. Squirrels do not like the smell and will be less likely to enter your flowerbeds to dig up the bulbs. Plus, you get the added bonus of fresh garlic growing in your garden that you can harvest for cooking. 2. Keep small animals away from your vegetables and fruits by spraying plants with a mixture of water and cayenne pepper. You can also simply sprinkle some cayenne pepper on the ground around your plants. If you spray the cayenne pepper mix directly on your fruits and vegetables, be sure to give them a good washing before eating them. 3. Cover planted bulbs with a fabric drop cloth, old quilt or other type of heavy cloth until they are ready to bloom. This will help to keep squirrels, skunks and other diggers from devouring them. 4. Use straw mulch in your vegetable garden to nourish your plants and repel deer, squirrels and rabbits. 5. Place your hair or your dog’s hair throughout your flowerbeds, vegetable garden or herb garden. Wild animals do not want to be around humans or dogs, which pose a threat to them, so the smell of human or dog hair will help keep them out of your garden. 6. Cover fruit-bearing plants with garden mesh to keep birds from eating young fruits. 7. Fill your flowerbeds with plants that deer and other wildlife do not typically find attractive, such as yarrow, lantana, verbena or rose of Sharon. When choosing flowering perennials or other colorful plants for your deer-proof landscaping or rabbit-proof landscaping, it is important to keep in mind that changes in the food supply can lead to all sorts of wildlife dining on plants they would normally ignore. This means that just because the local deer did not eat your yarrow this year, it does not mean that they will not eat it next year if there is a significant increase in the deer population, a wildfire that destroys their normal grazing grounds, a drought or some other change that affects the food supply. 8. Choose perimeter plants that animals typically avoid. 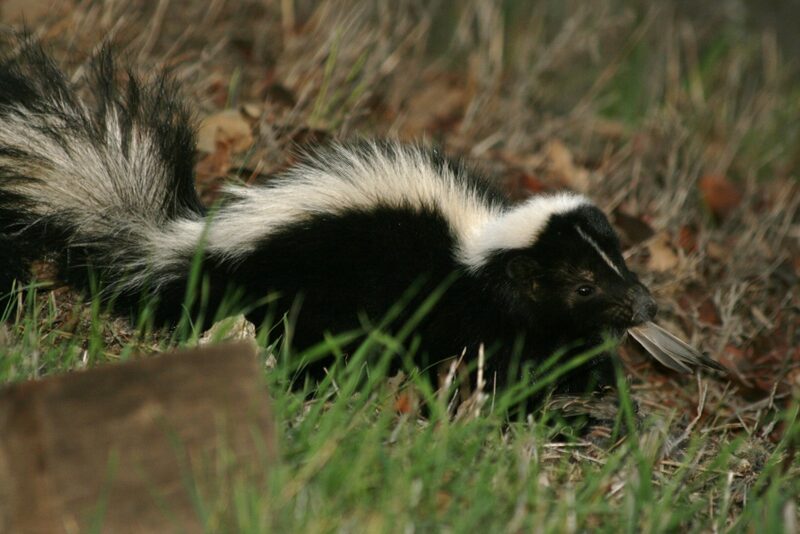 For example, skunks, squirrels and deer do not like the smell of plants like sage or lavender, which makes them perfect for planting as a protective border around the perimeter or your yard or garden. Smaller animals, such as rats, mice and squirrels do not like the smell of catmint, but it is an herb that most humans find appealing both visually and aromatically, making this a good option if smaller garden pests are your main problem. 9. If nothing seems to be working to keep wildlife out of your garden, you can also try all-natural, non-toxic commercial repellents that are sprayed directly on plants or the ground. These deer repellents, rabbit repellents and other similar products can be pretty pricey and have to be reapplied frequently, including after you water your garden or when it rains. Some homeowners may also be turned off by the idea that most of these repellents are made from predator urine, such as coyote urine, which you may not want to spray around the yard where your children play or you grow food for your family to eat. 10. Make your own deer-repellent spray to ward off deer and other wildlife. If you decide that you are okay with the urine thing, you can actually skip the expensive commercial products and just spray your own urine on plants and around your yard. This free wildlife repellent can be just as effective as coyote urine and is easier to get. Just remember that it is the smell of the urine that keeps wildlife away, so you may want to consider that before you spray urine around outdoor living spaces where your family or guests hang out. If using human urine is a bit too edgy, you can also make your own deer repellent by mixing crushed garlic, vinegar, boiled cayenne peppers, ammonia and water in a spray bottle, which can then be applied to plants and trees as needed. One simple way to keep wildlife out of your yard is to remove the things that attract them in the first place. Pet bowls filled with tasty morsels, birdfeeders that are easy for squirrels to reach and unprotected rows of vegetables all beckon wild animals to enter your yard and take advantage of these easy meals. A natural grass lawn is another attractive feature for wildlife, particularly with all of the insects, worms and weeds that flourish in natural grass and provide an array of tasty choices for birds and mammals. Replacing your lawn and other grass areas with artificial grass allows you to continue to enjoy the look and feel of a lush, green lawn without attracting wildlife to your yard. Additionally, rather than kicking them out completely, you may want to consider playing nice with the wild animals that frequent your yard. Placing birdfeeders, squirrel feeders or a small, separate garden just for the rabbits away from your vegetable garden or flowerbeds will provide easy-to-obtain food for the animals while taking away the need for them to dine on plants intended for you and your family to enjoy. 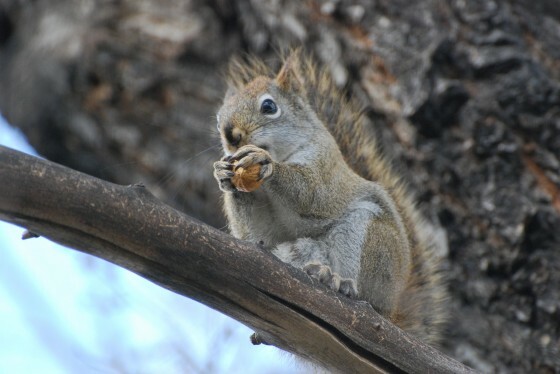 Plus, some animals – like squirrels – are territorial, which means if you keep the squirrels that live near you fed, they will keep other squirrels away from your yard. Keeping frequent visitors fed can reduce the damage to your landscaping while allowing a more harmonious relationship with your furry neighbors and allowing you and your kids to still enjoy watching wildlife outside your window. Part of the joy of living in Southern California is the opportunity to be so close to nature while still enjoying the amenities and attractions only offered in cities. Taking steps to live in harmony with our animal neighbors allows us to more fully enjoy the outdoor living spaces of our homes throughout the year. Have you had issues with garden intruders eating your bulbs or vegetables? If so, what did you do to save your flowers without harming the animals? If you have some great wildlife-repellent landscaping tips, we would love to hear about them in the comments!